Ford is releasing 100 special edition Transit SportVan models to mark their 45th year as Britain’s best-selling van. Back in 2006, Ford ousted the ‘white van’ trend when they released the Transit SportVan for the first time. system and 138bhp 2.2-litre TDCi diesel engine with a 6 speed transmission. In addition to this, the limited edition hosts a Colorado red exterior with wide bonnet stripes. Elsewhere on the exterior, there are a number of changes made to the look of the Ford. These changes include twin exhausts, graphite colour alloys, front and rear lower spoilers, side skirts and extended wheel arches. The interior has also undergone some changes such as new fabrics and trims that fall alongside new equipment and technology. 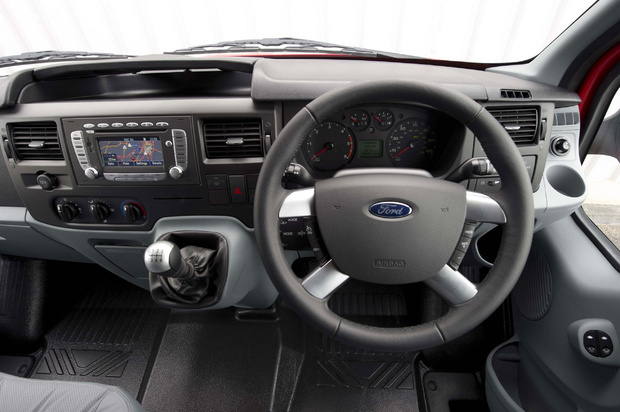 This model also includes the first DAB radio that comes as standard on a medium van. ESP; there is also a good range of optional extras that can be included. 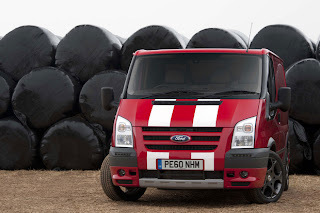 Prices for the standard Ford Transit SportVan range from around £15,000 up to £29,000 and prices for the Special Edition Ford are expected to mirror these figures. Ant Bradshaw is currently working for SaveOnNewVans.co.uk which can provide you with great information on a range of van manufacturers and model as well all the latest news. 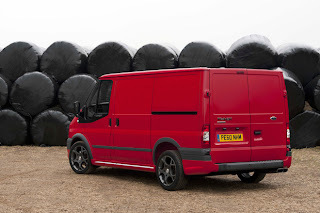 SaveOnNewVans can also provide you with completely free, no obligation New Van Quotes.